Health insurance should be as important as auto and homeowner’s coverage, if not more so. As an entrepreneur in the fields of finance and insurance, I’m always surprised when I work with professionals who haven’t considered the costs of their health coverage when they retire. Equally concerning are estimates that the average 65-year-old couple can expect health care costs of more than $275,000 in their retirement years. Unless their retirement packages include ongoing coverage and they’re eligible for supplemental insurance, many people risk spending the bulk of their retirement savings on the aftermath of a major medical event. With some careful planning, it’s possible to avoid that dreary future and focus on enjoying retirement rather than the effect of potential claims on a fragile nest egg. The future of healthcare is uncertain. With the proposed changes to mandated health insurance coverage and programs pulling back from the Affordable Care Act, Americans about to retire find themselves in a gray area for health insurance. Many don’t have coverage and are worried about choosing a provider amid such uncertainty. Few companies provide health insurance in retirement packages. According to the Kaiser Family Foundation, employer-provided coverage won’t be as much help to retirees as it used to be. Its research indicates that only 25% of large employers even offer retiree health coverage, compared with the 40% of employers who offered it in 1999. Additionally, the current administration’s intent to amend the ACA is clear, but the details of its plan to change federal insurance laws are not. For anyone nearing retirement, the potential impacts to insurance coverage and costs should be of special concern. For instance, the reintroduction of high-risk pools for pre-existing conditions could lead to declining coverage and higher premiums for many. Potential tax consequences exist for not having health insurance. While the Republican Party’s most recent attempt to overhaul the American healthcare system failed, the issue still tops the party’s to-do list for 2018. One of the proposed changes the GOP has loudly touted in past health bills is the elimination of the penalty for not having insurance. 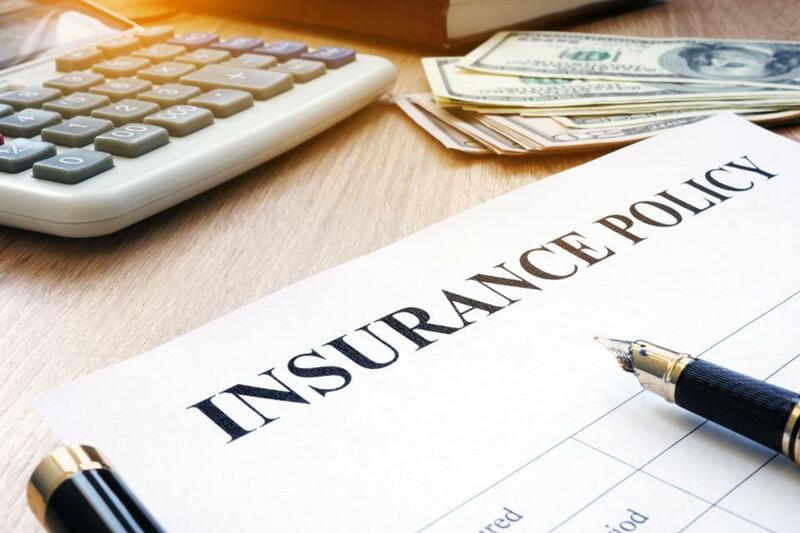 While the fine no longer exists, two recent versions of the bill suggested people without insurance for more than 63 days would have to pay a 30% premium penalty or forgo coverage for six months. It’s possible these provisions could appear in future proposals, but only time will tell. What’s clear is that, no matter how well-thought-out a retirement plan is, failure to account for insurance needs can throw a fairly big wrench into the works. Learn the pros and cons of today’s insurance options. You might qualify for Medicare Part A, but Medicare Part B could cost you an out-of-pocket premium. Keep in mind that out-of-pocket costs for premiums increase without employer supplementation. What was once a $250-per-month premium can quickly skyrocket into a $1,000-plus payment for the same coverage. When I got serious about planning my retirement, I predicted what my out-of-pocket premiums might be. I then created a savings account, and I contribute amounts equal to those predictions. I also sat down with a financial adviser to broaden my spectrum of options. Now, I can focus on the days when I can relax and enjoy the sunsets without worrying about medical bills versus income. 2. Know your risks — and make sure they’re covered. Know your specific health risks, and know which currently available insurance options cover them. This will serve as an excellent guide to planning for healthcare needs in retirement. If you’re in excellent health and have no risk factors or history of life-threatening illnesses, it might seem like a good idea to focus solely on coverage for major medical events. That strategy could cut down expenses, but it also leaves a significant gap in coverage. The goal is to cover as many bases as possible. Even something as simple as appendicitis could cost more than $55,000 — and when it happened to my wife, she was in perfect health with no previous issues. Between the ER and laparoscopic surgery, her medical bills exceeded $40,000. Without the right insurance policy, the experience could have been catastrophic for us, both financially and emotionally. 3. Prepare for the worst. If you buy life insurance for the worst-case scenario, then why not plan for the aftermath of such a scenario? Medical bills can stack up after a major medical event, and in the worst-case scenarios, those bills are often left to family members. Some people might view the discussion about insurance as taboo. But, practically speaking, it’s worse to avoid the discussion and fail to plan. Making sure the whole family is prepared for the worst can be difficult, but it’s absolutely necessary. When my family lost someone who hadn’t prepared, the financial burdens were compounded by the emotional stress of an already devastating situation. Even a modest life insurance policy can help lift that burden by making sure necessary expenses are covered. When I speak with professionals who haven’t added their health care needs to their retirement planning, they’re often as surprised as I am that they haven’t considered it. The point of retirement planning is to enjoy your golden years, and you can do that more effectively if you aren’t worrying about how to cover medical expenses.